Zoom soft plastics have are one of the most widely used brands in the fishing industry thanks to their known variety of options that offer consistency, durability and something for every condition. The Zoom Lizards are no different and have become a favorite to many anglers that Carolina rig. Featuring super soft bodies that provide plenty of action to draw attention while remaining durable and consistent in color throughout the package. 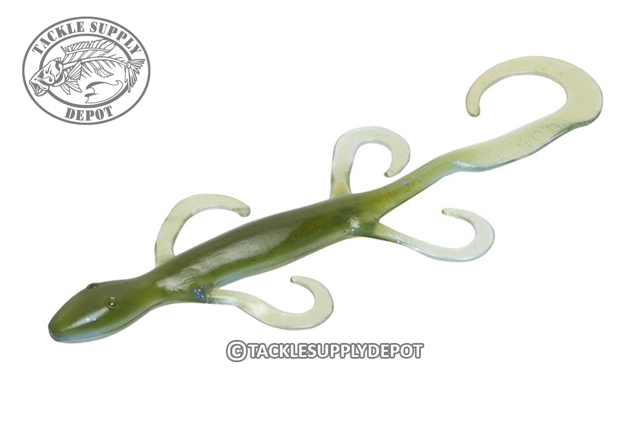 Lizard style baits generally shine at their brightest in the spring months when bass are in the shallows feeding up for the spawn or guarding nests. When the Lizard bite is on it is no surprise to see boat decks with a couple Zoom Lizards rigged up. Item was exactly as specified.